There are many castles in the north of England, which were built in the 13th or 14th century to defend from the marauding of the Scots coming over the border. Bolton Castle was one of them, built by Sir Richard Scrope, afterwards 1st Lord of Scrope, from 1378 to 1399. This castle has a structure of four towers at each corner, which are connected with four curtain walls surrouding a court. Having small windows, it has no unnecessary decoration and looks very sturddy. There used to be battlements on the tops of the towers and the curtain walls, but now, most of them are lost. It is said that the North-East Tower fell down without any warning in 1761. The cause of the collapse is considered to have been the damege of the bombardment by the Parliamentarians during the siege of 1645. Another is the inadequacy of the strengh of the foundations. As the tower was built on the original manor house, the old part of the house could not endure the weight of the tower. 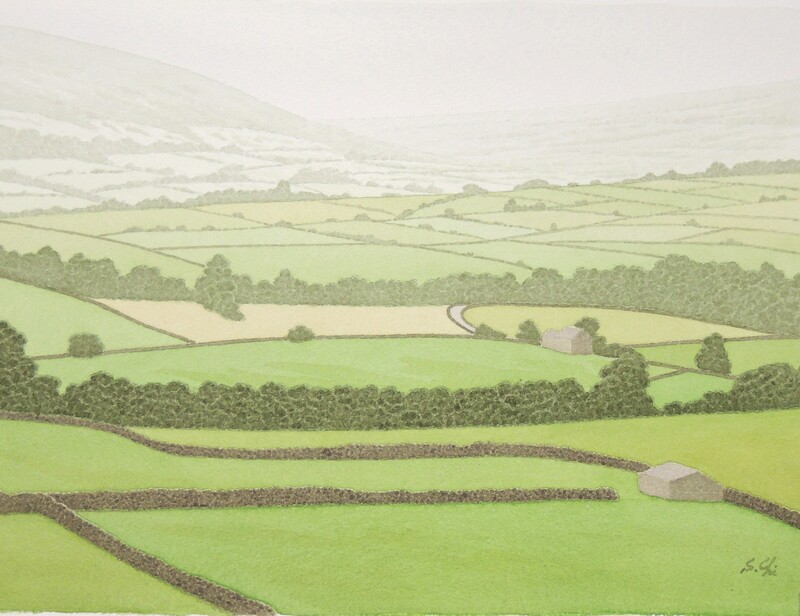 Climbing to the top of towers, I was able to see the splendid view of Wensleydale to the south. John Scrope, Lord Scrope of Bolton, a Royalist, held Bolton Castle with his garrison after the defeat of the Royalists at the Battle of Marston Moor on the 2nd of July in 1644, and endured the siege by the Parliamentarians for more than a year. But he surrendered on the 5th of November. At that time, he and his solidiers were starving. They had resorted to eating their horses. This Bolton Castle is well known as the place where deposed Queen Mary of Scots was imprisoned from the 15th of July in 1568 to the 26th of January in 1569. She took refuge into England in May in 1568, expecting the reinforcements from Elizabeth I, but soon she was captured as a prisoner of England. It was the midsummer when Mary came to Bolton Castle from Carlisle Castle , Cumbria. She might have climbed the towers and seen Wensleydale from the battlement, too. What did she think about then? Would she have had any idea that her life as a prisoner would last a total of 19 years at the end of which she might finally be beheaded? When she left the castle in winter to be sent to the south, snowy Wensleydale swelled like a white ocean, I suppose. The tale says Mary once tried to escape from the castle, but she dropped her shawl in the west of Leyburn and her attempt was turned to be failure. The place, a two-miles long terrace situated on the outskirts of the town, was named "the Shawl". The name, howevr, seems to be older than the tale. It is said that it came from "schall" meaning a "hut" in the Norse. I suppose sympathy towards her led local people to make such a story. I also feel sympathy with her, simply because I am a fan of history, but how do the Brithish people of today feel? Mary was imprisoned in 8 or 9 castles or manor houses, but now only Bolton Castle remains. 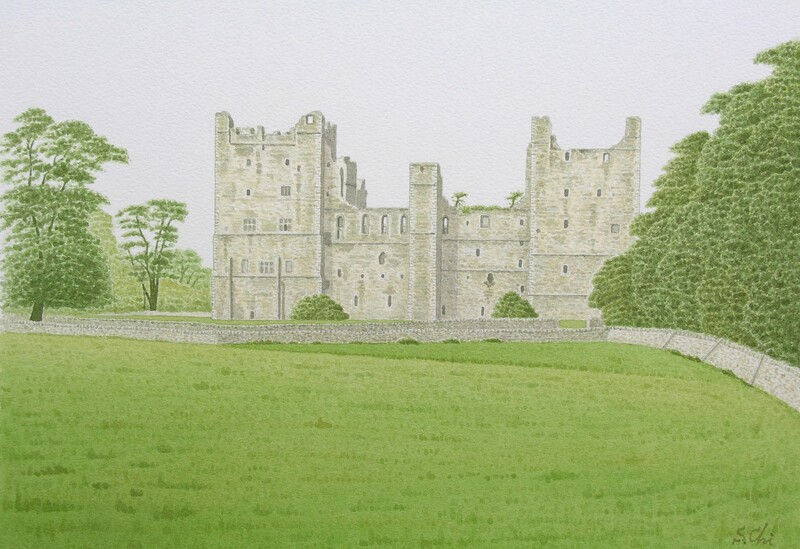 For the fans loving history and yearning for her, the ruins of Bolton Castle are the place of their pilgrimage. I also traced the life of Mary from the ruins of Bolton Castle to her execution for the treason against Elizabetgh I in my previous book "The View of England from Yorkshire".